We used our 'talk partners' to gather ideas for the basic needs of animals, including humans. 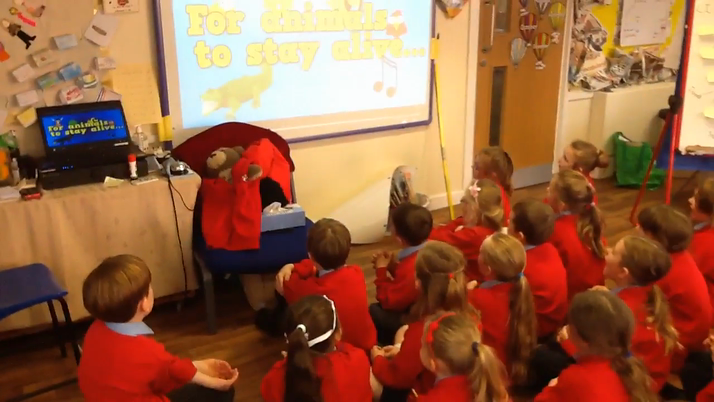 We found out about the basic needs of animals (including humans) with a fun song. To know the importance of eating healthy foods. We worked in groups to sort foods into the five balanced diet food groups.